Virtual Reality is something that allows everyone to experience the impossible. Virtual Reality is the term used to describe a three-dimensional, computer generated environment which can be explored and interacted by a person. Therefore we can define Virtual Reality, as something that helps to manipulate and explore the user. In later years, virtual reality will be a computer-induced environment that can be interacted with as if that environment was authentic. Computer graphics will be implanted into the authentic world in such a way that the human mind would not be able to tell the difference between computer-engendered images and the authentic world. Defining broadly, the concept states that the idea is present since the inception of computers. The number of virtual reality applications has grown in a drastic way in recent years. Consequential efforts have been made to make the compulsory technology available in an affordable price to the public. Implementation of Virtual Reality in healthcare sector encompasses surgery simulation, phobia treatment, robotic surgery and skills training. It helps to allows healthcare professionals with its unique features to learn new skills as well as existing ones ensuring a safe environment without causing any danger to the patients. For example incase of robotic surgery where a surgery is performed by means of a robotic device – controlled by a human surgeon, which reduces both time as well as risk of complications. In this case Virtual reality plays an important role for training purposes and, in the field of remote telesurgery in which surgery is performed by the surgeon at a separate location to the patient. Therefore implementing Virtual reality in this case helps to provide force feedback as the surgeon needs to be able to gauge the amount of pressure to use when performing a delicate procedure. Incase of education Virtual Reality allows a large groups of students to have interaction with each other as well as within a three dimensional environment. In today’s world, children are aquainted with all sorts of technology and have grown up with technology from a very early age and unlike adults, do not have any fear or hesitation in using it. Therefore, implementing virtual reality as one of several forms of technology in order to educate tomorrow‘s technological elite. For example, astronomy students gets in touch with the Virtual reality to learn about the solar system and gets to know about the whole process by physical engagement with the objects within. They can move planets, see around stars and track the progress of a comet. It also helps them to see how non-realistic concepts work in a three dimensional environment which makes them easier to understand and retain. This makes the learning procedure creative which also helps it to attract the students by educating and entertaining them. The concept of Virtual Reality is very popular incase of gaming sector. One of the major development within the world of video games is virtual reality. The gaming market has become the fastest-growing entertainment sector in the world with the evolution of Virtual Reality. Since gaming has became a platform to create digital worlds, Virtual Reality makes the user experience being in a three-dimensional environment and interact with that environment during a game. Detecting a person’s presence in a game is done by small sensors which are attached to a suit or even the body and record movements made by that person in a 3D space. Those movements are interpreted by a computer and trigger a variety of responses within that space. As you know that in today’s movies Virtual Reality is used in a way to turn unbelievable into something that seems totally real. The three-dimensional movies are very popular among today’s generation. One must be familiar after watching three-dimensional movies, with the idea of a person exploring and interacting with objects in a virtual world. Technology has moved on since then so the experience is likely to be even better than that shown in the film. For example movies like Avatar, Journey to the Center of the Earth are some of the best examples of 3D movies which are highly popular among the viewers. 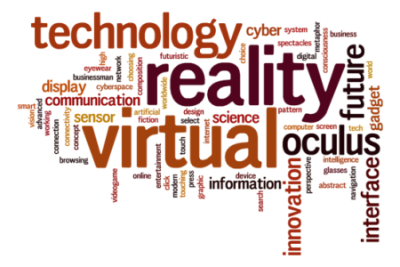 Not only in these four sectors Virtual Reality is utilized in all most in every sector. Virtual Reality plays a crucial role in the every day lives of the world’s population. Virtual Reality products are now used everywhere in today’s world often to test product designs and simulate user interaction. The scope for Virtual Reality , goes beyond today’s technology which actually helped it to come a long way. Although it has not yet broken into true mass appeal.